Got a soft spot for compact devices? 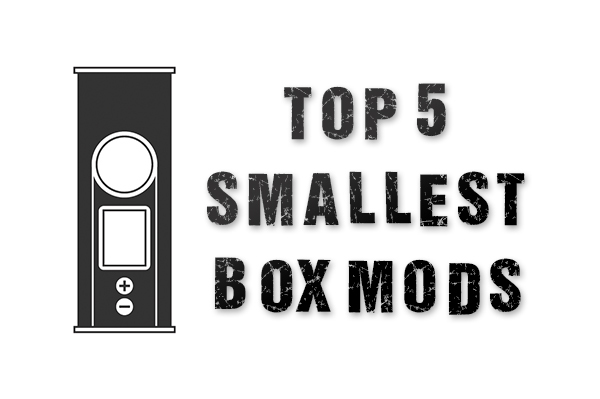 In our opinion, here’s the top 5 smallest box mods. After searching the market for the smallest box mods, we’ve come up with a rather interesting list of mods that are small, powerful, and filled with the latest technology that vaping has to offer. Forget what your partner says, bigger isn’t always better! Note: The mods presented here today are listed in no particular order and only reflect the opinion of the author. 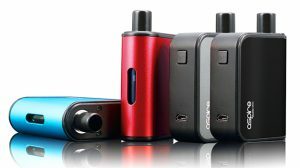 Enjoy smaller, more discreet devices for vaping? 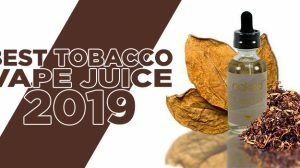 Check out our top 5 best vape pen starter kits, where we explain what a vape pen is, give you a little bit of history on them, and we list detailed information about the best vape pen starter kits. 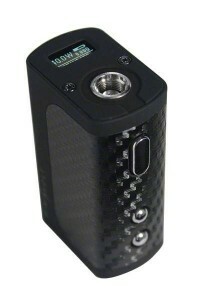 When it comes to small mods, it simply can’t get any smaller than the Mini Volt Mod by The Council of Vapor. This little guy stands just 56mm tall, 35mm wide and it only has a 22mm depth — that’s smaller than a 30mL bottle of e-liquid! 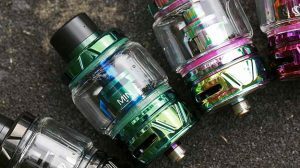 Now that you know what we’re working with, you’ll also be pleased to know this tiny tank has the ability to deliver up to 40 watts and supports resistances as low as 0.2Ω. Furthermore, the Mini Volt Mod also features 3 selectable output modes: Soft, Standard and Power, which will give you the option of a slower ramp time, a traditional power curve or a fast ramp up. The Mini Volt comes with a built-in 1300mAh battery, which is just enough to slip into the small housing, and also just enough to deliver the 40 watts this device is able to output. What’s fascinating about the Mini Volt Mod though is its remarkable appearance and the including of an ultra mini OLED display screen that rests at the top. This screen is, well cute, and only displays the information that is required, such as the wattage, resistance, battery life, and 1 of the 3 output modes you have selected. An interestingly small, yet powerful device that I’ve come to adore! UPDATE: Council of Vapor has released the COV Mega Volt, which features a 20500 battery with 1750mAh capacity, 80 watts, and its V3 charging capability that will allow you to charge the Mega Volt in 30 minutes. This is an upgrade to the Mini Volt. 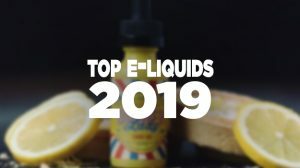 Here we have an article sharing the top 5 smallest box mods, included with loads of detailed information and features about each mod. 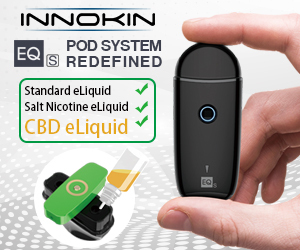 Just ordered one of these the other day as part of the Gold Rush kit with the 49er tank 🙂 Currently stalking my mailman…..
My mini volt caught on fire while plugged in charging and burned half my couch( I was walking my dog and came home to my living room on fire) the council of vapor sent me wicks as compensation. Oh wow, that’s terrible! I can’t believe it actually caught on fire. And, I can’t believe COV didn’t do more. On another note, rule of thumb for vaping… never leave a battery charging while unattended. Dude where is the vaporesso target mini smallest of all and he’ll better than all of these .. do you even vape ? Yep I vape, and probably a lot longer than you. However, at the time of writing this post, the Target Mini didn’t exist. Also, I personally own the Target Mini, as well as about 5 or 6 other miniture mods, and they beat out the Target Mini easily, as per the performance. Lol target mini vs mini volt? Do you even vape? If you had to choose a mini mod that gave you the best performance for your money , which one would you choose? Now days? Probably the Mega Volt. I’ll update this post soon with the latest. Bought V2 (updated) red for the wife and black for me. I didnt care for TC in the Nugget so i went with MiniVolt. Glad I did! I bought a Wismec Reuleaux RX MINI as my very first mod ( retail ) I thought it would be great because of the built in battery and it being small in size, however, it feels like a “brick” in my pants pocket. Any great ideas for something more pocket friendly or lighter weight? Thanks.